Color and Texture are the first considerations in each of my pieces. They dictate the form that follows, whether it. is fiber or mosaic. My work in fiber is soft, tactile and naturally flows into malleable forms. The iridescent colors in mosaic bring two dimensional. art to life. 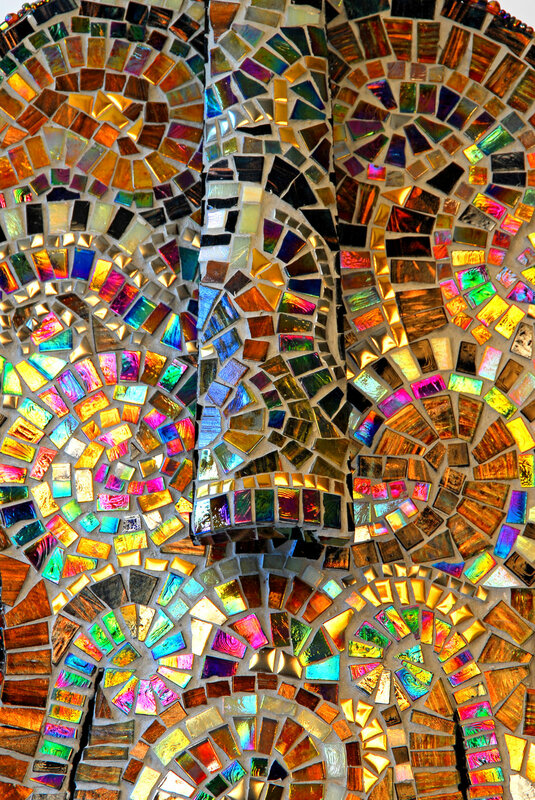 The glass of mosaic tells a story that is totally different than fiber.